Head to Head Data Transfer. Now it is easier to Share, Choose a photo, video or any file and simply contact two touch screens. 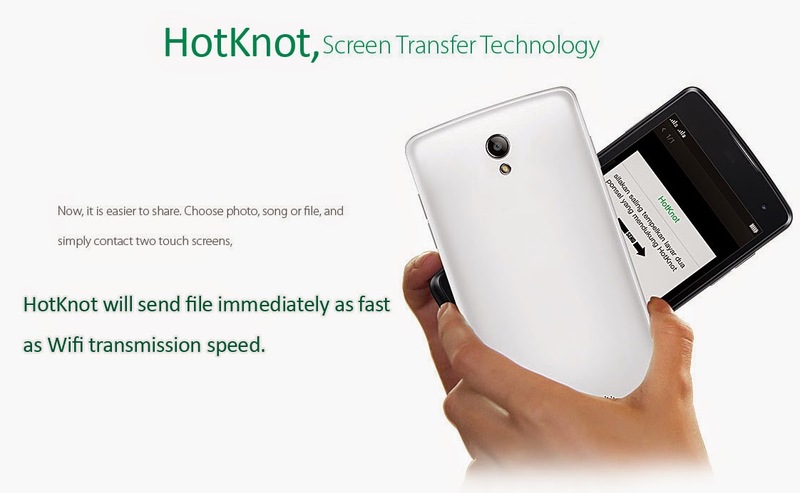 MediaTek, a famous chines chip makers, got the idea from NFC (Near Field Communicaion technology) and developed a cheaper version of this technology and named it as "Hotknot". 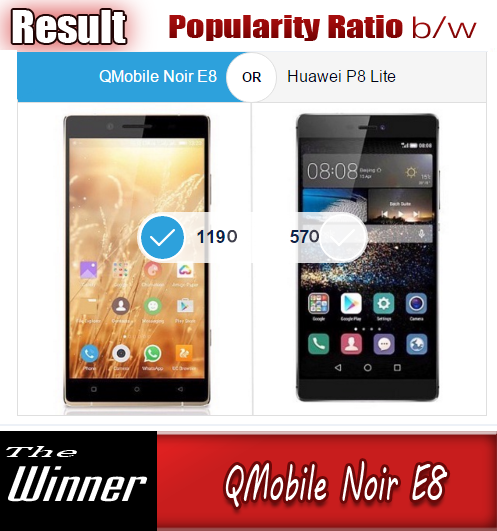 It has an agreeable speed for data transfer between two devices. 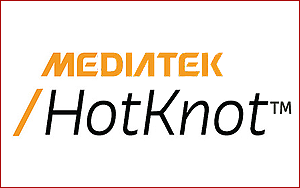 MediaTek, the Chinese chipset manufacturer best known for its mobile SoCs, has announced a new proximity pairing technology called Hotknot, which is similar to near field communications (NFC) in terms of application. In terms of implementation Hotknot is quite different from NFC however, and does not use the antenna and RF chip for its wireless connectivity, instead, MediaTek is planning on implanting capacitor touch ICs on smartphones' touchscreens, which can help detect compatible devices nearby, when also using data from proximity and gravity sensors. According to MediaTek, the advantage of its Hotknot pairing feature over near field communication is that "it will cost much less to implement", while allowing pairing with a wide range of devices, from TV to tablets and smart-watches. MediaTek will soon be sending a software packages to its Chinese manufacturing partners (such as Lenovo and Oppo). With the package, partners will have a precise idea of how to implement the technology and understand infrastructure required for mass market penetration. Speaking to EETAsia, MediaTek's HaoJung Li said , "...our first job is to build the infrastructure, making sure that millions of smartphones used in China will actually come with Hotknot." According to the report, MediaTek holds a 40 percent market share in touch driver chips, whereas the company with the biggest share in the Chinese touch controller IC market is FocalTech. 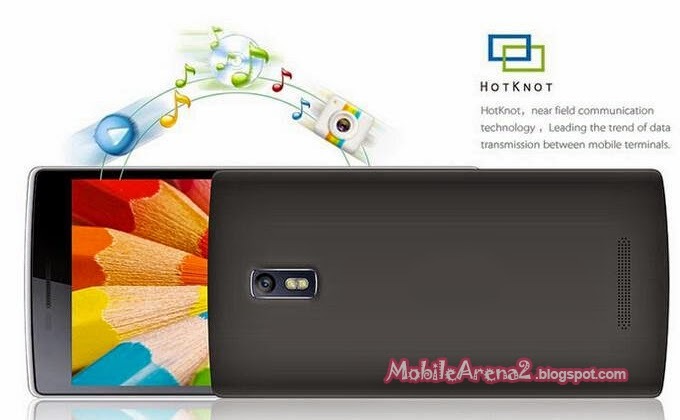 If MediaTek wants to make its Hotknot technology popular very quickly, a bond with FocalTech would be a fantastic idea, with Hotknot-integrated touch controller ICs potentially bringing the new pairing functionality to a large number of phones available internationally. Li added, "We are currently in negotiation with FocalTech to adopt Hotknot." Recently, MediaTek at MWC 2014 showcased its first 64-bit chipset with integrated LTE, the MT6732. According to MediaTek, the quad-core MT6732 is targeted at the 'super-mid market' segment. It will be be commercially available by Q3 2014, with devices expected by the end of the year.